Ivory’s Coast’s RTI Upgrades Its Playout Facility With Periactes. New solution designed to provide high-quality graphics and playout, and to streamline traffic operations. This installation features Media Pilot for seamless traffic & billing operations as well as several PlayBox modules including TitleBox for on-air graphics management, three AirBox servers for playout as well as SafeBox to ensure maximum reliability. 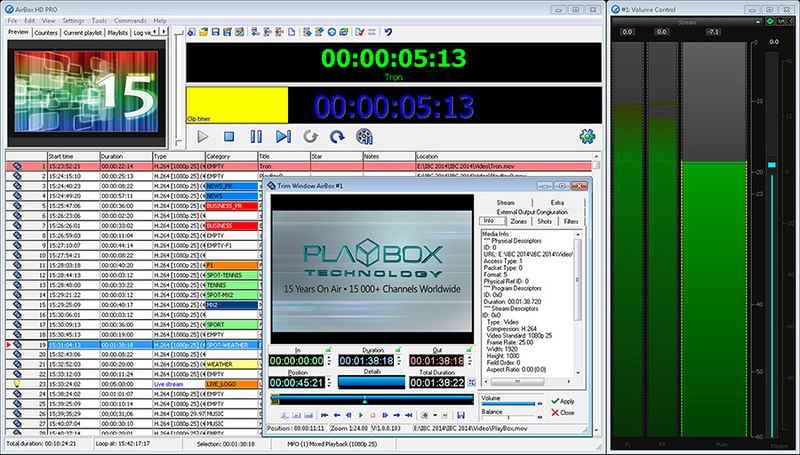 Media Pilot, the air time sales solution from CSE, has been interfaced with PlayBox playout system. It streamlines RTI’s workflow by allowing the broadcaster to manage its TV and Radio advertising operations in a single system. Thanks to complete interoperability, ad placements booked in Media Pilot are immediately scheduled in the rundown of the targeted TV or Radio channel. Powerful reconciliation capabilities allow RTI to prepare and send accurate invoices right after broadcast. By centralizing all advertising operations, Media Pilot promotes collaboration from ad booking, planning, on-air to billing while easy-to-understand reports provide managers with operational and business visibility. 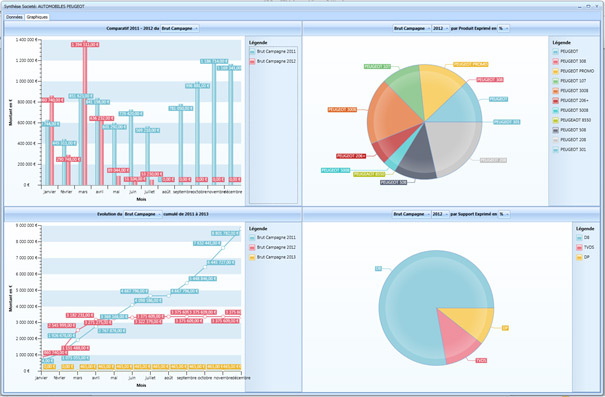 Media Pilot is the leading air time sales management software on the French market. 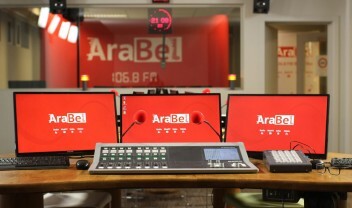 Selected by TF1 Publicité, Lagardère, AB Groupe, NextRadioTV and more, it is also installed in Russia and in Morocco at Regie3, SNRT and Medi1 TV. 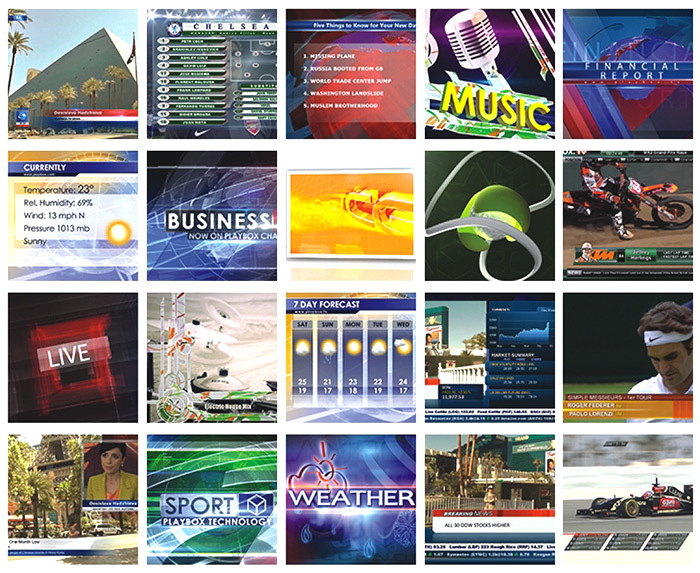 TitleBox, a PlayBox module, delivers stunning on-air graphics, which can be interactively controlled. Multi-layered simultaneous crawls, rolls, animated logos, clocks and text templates are activated by a single mouse click. TitleBox provides total control during on-air sessions, thanks to intuitive text selection, running speed and transitioning tools. AirBox is a universal SD/HD content playout and streaming server designed for 24/7 unattended operations. Every clip inserted in the rundown – except for the one currently on-air – can be trimmed, edited or moved. Playlist order can be changed on the fly while the Live Show Clipboard facilitates live production by allowing quick insertion and/or triggering of various events or live streams. AirBox supports MPEG1/2/H.264, HDV and DV streams from almost any production platform capable of providing AVI, MPEG, WMV, Quick Time or MXF content. Files from third-party broadcast content servers such as Leitch or SeaChange are natively supported. With AirBox, switching between live and file-based feeds, managing incomplete clips and automating graphics is a breeze. SafeBox replicates remote content to local playout server folders for safe playback. It can work in playlist-dependent or stand-alone mode. In playlist-dependent mode, all file operations depend on the playlist’s items sequencing. New daily schedules are transferred along with their associated content. File paths are automatically updated according to the new local storage. Expired daily schedule content is automatically deleted or moved to a predefined purge folder for manual deletion or archiving. Deletion can be done automatically or pending user approval. To further improve security and provide fully redundant protection across RTI’s channels, Periactes recommended and installed an auxiliary server with RAID5 storage as well as PlayBox Multi Backup Manager, which provides failsafe automatic switch over to a third AirBox if a primary server goes down. Multi-Backup Manager is designed for backing up multiple playout channels simultaneously, also known as n+m redundancy. It allows the user to choose the number of backup systems, for RTI, one backup for 2 on-air channels. It monitors user-defined lists with AirBox main and backup applications. If a primary is non-responsive for two seconds, a secondary AirBox will automatically replace it. Thus, in case of failure, Multi Backup Manager will replace any non-responsive master AirBox. Smart Videohub is used to switch between the program sources and the backup directly from the master control room. Triple hot-swappable power supplies are also incorporated in this secured environment. These can be replaced while the channels are on-air without any service interruption. Radiodiffusion-Télévision Ivoirienne (www.rti.ci) is the state broadcaster for the Ivory Coast. Initially established as a radio broadcaster (Radio Côte d’Ivoire) in 1961, the network expanded into television in 1966. Three television channels are currently produced: RTI 1, RTI2, and RTI Bouake. The network is based in the Ivory Coast capital city, Abidjan, and has supporting technical facilities throughout the country. RTI programs are delivered via terrestrial transmitters and on CanalSat.